MANHATTAN--Dr. Richard Loninger has done it again! With his innovative new approach, Dr. Loninger has developed new treatments for bunions, hammertoes, and corns at Downtown NYC Foot Care. Since this procedure is a plastic surgery technique, it is less invasive than other treatments and allows for a quicker return to function. Here is how the procedure works - cosmetic incisions are placed inconspicuously in-between webspaces for hammertoe and corns so there is no visible scar. 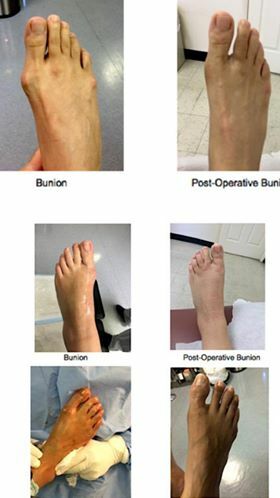 For bunions, there are incisions underneath the foot, again in an unnoticeable area. With these procedures, patients are able to walk immediately after the procedure is completed. For Hammertoes, Corns, and Bunions, patients can return to UGG boots after three days, sneakers after ten days, and heels after six weeks! Patients can also typically exercise about three weeks after both procedures. These treatment options have a much faster recovery time compared to typical treatments. When the procedure is done on a Friday, patients can return to work on Monday! Earth Day kicks-off at 10 am with the Annual Earth Day 5K Run/Walk along the Hudson River Waterfront Walkway at Liberty State Park. This race offers a flat and fast USATF-NJ Certified 5K route through Liberty State Park and has become an annual favorite for residents and visitors. All participants will receive a race t-shirt (while supplies last) and can enjoy post-race refreshments at the Earth Day Fair so don't miss out! 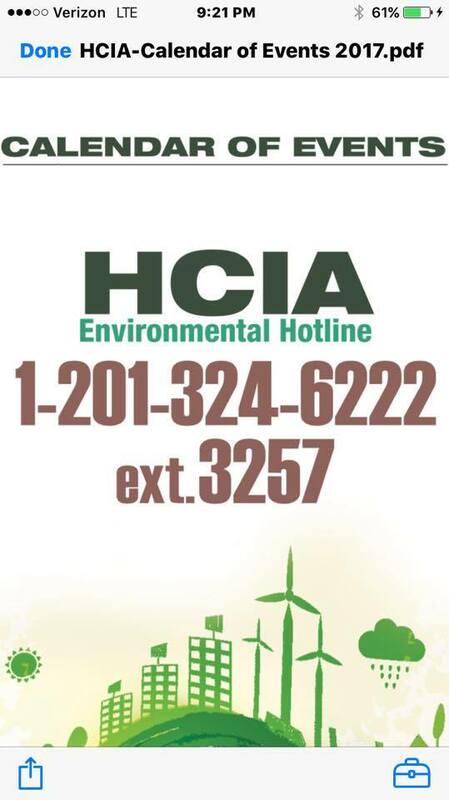 On-site registration will be available but there is no guarantee of a t-shirt so register now because it's a one-of-a-kind 2017 HCIA Earth Day 5K Run/Walk T-Shirt! Oh, and did we mention that trophies will be awarded to the overall Male and Female finishing 1st, 2nd and 3rd Place overall, as well as medals to 1st, 2nd and 3rd Place Male and Female finishers in the following categories: 14 & younger, 15-19, 20-29, 30-39, 40-49, 50-59, 60-69, 70-79, & 80+! go to www.NYnewsyork.com for more exciting stories! MANHATTAN--Dr. Richard E Loninger became interested in Medicine at an early age and completed his training in 1992. An outstanding student at New York College of Podiatric Medicine, Dr. Richard Loninger was named the Emile Rose Scholar, which is a prestigious award that is given to the student who scored the highest academic testing throughout his/her academic career. Dr. Loninger also studied at John Hopkins University Hospital and later went abroad to the Royal College of Medicine in India. Upon graduating Dr. Loninger decided to open his private practice where he has two offices in Manhattan and one in Brooklyn. Patients from all over the Metropolitan area including New Jersey, Connecticut and around the Country will travel to Downtown NYC Foot Care to receive this innovative treatment for Heel Pain: Radio-Frequency Lesioning. This is a new approach for treating heel pain, heel spurs, fasciitis and neuroma. The treatment, which is incredibly successful, is a four-minute, non-invasive procedure which contains no cutting, no stitches, no orthotics and no painful cortisone shots. Tiny microfilaments are inserted in a painless manner at the site of the heel pain. Not only are there no painful injections, there is immediate recovery! There is no loss of function after the procedure, and patients can run and jump only 1 hour after the procedure. This procedure yields a 92% success rate when heel pain is inferior and an 85% success rate when heel pain is superior. Dr. Loninger stated the following, "The machine is hooked up to the microfilaments, then emits a specialized energy called radio-frequency. This radio-frequency specifically targets cells found within the area of inflammation called nociceptor cells. The energy disorganizes these cells and recruits an augmented immune response which resolves the pain." Downtown NYC Foot Care provides unique and personal care to all patients to make sure they get the treatment they need. A specialist can help you diagnose your pain and suggest the best possible treatment option. Dr. Loninger, the owner of the practice, is dedicated to "giving patients the best outcomes and quickest recoveries” . Dr. Loninger, dedicated podiatrist, has developed several cutting-edge procedures and treatment options in order to provide his patients with the most current and effective solutions and relief for foot related issues. Convenient locations in the Manhattan and Brooklyn areas, click... website... Downtown NYC Foot Care is always there for its customers. MANHATTAN--Dr. Richard Loninger, DPM, one of the most highly respected podiatrists in the Metropolitan Area, performs over a thousand surgical procedures each year. Dr. Richard Loninger attended the NY College of Podiatric Medicine, continued his training at Mercy Medical Center, Johns Hopkins Medical Center and the Royal College of Medicine in Ranchi, India. Dr. Loninger has received numerous awards, including the Emil Rose Scholarship being first in his class in all academic material taught in 4 years of Medical School. He is committed to curing his patients and turning ugly nails to pretty with no apparent surgical scars. One of the most common problems among Dr. Loninger’s patients is “ toenail fungus “, the fungus is everywhere and certain people are susceptible to this fungus through their hereditary genes. The fungus will infect beneath the nail and therefore creating as Dr. Loninger would describe as "unsightly infected nails." In many occasions Dr Loninger has taken on many patients whom have failed other treatments elsewhere. No more toxic oral medications No more expensive laser care that doesn't work! Other more serious risk factors are those suffering with diabetes, immune deficiency and or circulatory problems. Those patients with chronic athlete’s foot, and/or sweaty feet are at risk as well. Dr. Loninger will employ a procedure of complete nail removal (only done on the most severe of infections which is black thick nails) therefore, enabling the opportunity to employ the Pin Pointe Laser in the target area. The procedure using the Pin Pointe Laser has demonstrated an 88% success rate in removal of fungus infections from the nail. Followed by a topical medicine and the laser actually kills the fungus without harming the surrounding skin. Dr. Loninger employs a complimentary laser care for the less severe nails in the follow up visits every 4-6 weeks or until everything is completely resolved. The procedure itself for the severely infected nails is painless when performed although, the nail may hurt typically 3 days for the smaller nails and 5 days for the bigger nails. However, the patient is able to walk immediately, change the bandage the next day and place a band aide on it the following day but the patient will return to normal shoes within 3-5 days. There is no missing of work because we can suggest a surgical shoe or ugg boot, and or an open toe sandal. This procedure will completely eradicate the infection into the future and no more wearing socks at night in bed or embarrassing moments at the beach! NJ History "Since 1927" the PERRINE Family has been in Business! Are you looking for an Interesting NYC afternoon?